Another old warrior has been retired from the railroad. 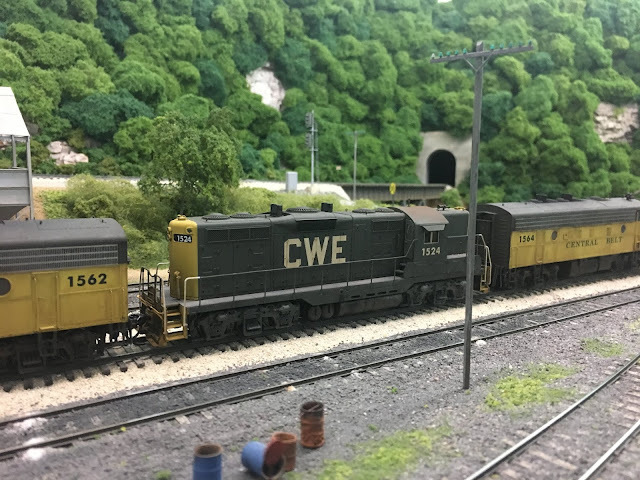 CWE 1542 has officially been stricken from the roster and will take its place in the display case (yet to be built). 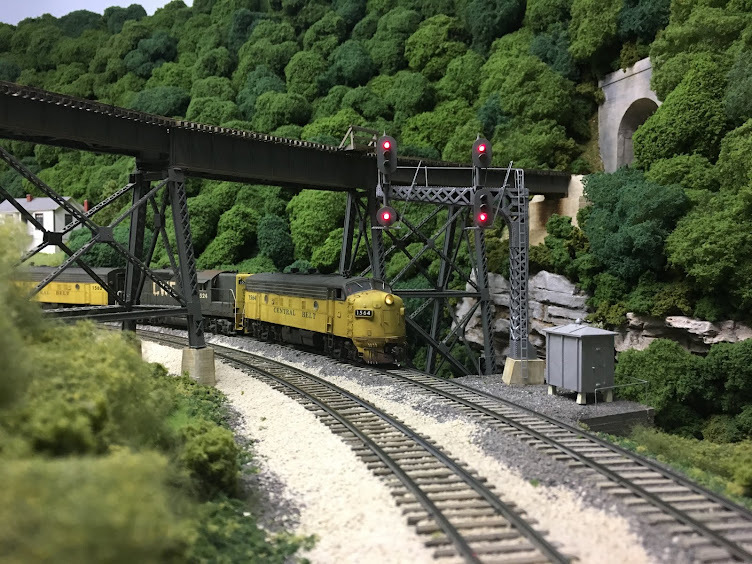 The photo below shows the loco on the yard lead at the west end of Hollister Yard. It is shown in its usual assignment between F7A's 1564 and 1562 which are regularly used in local/mine run service. I am fairly certain that this engine was the first one ever painted in CWE colors back around 1980 or so. As is obvious from the photo, it's an old Athearn Blue Box GP7/9. I replaced most of the cast-on details and added new handrails fashioned from brass wire. 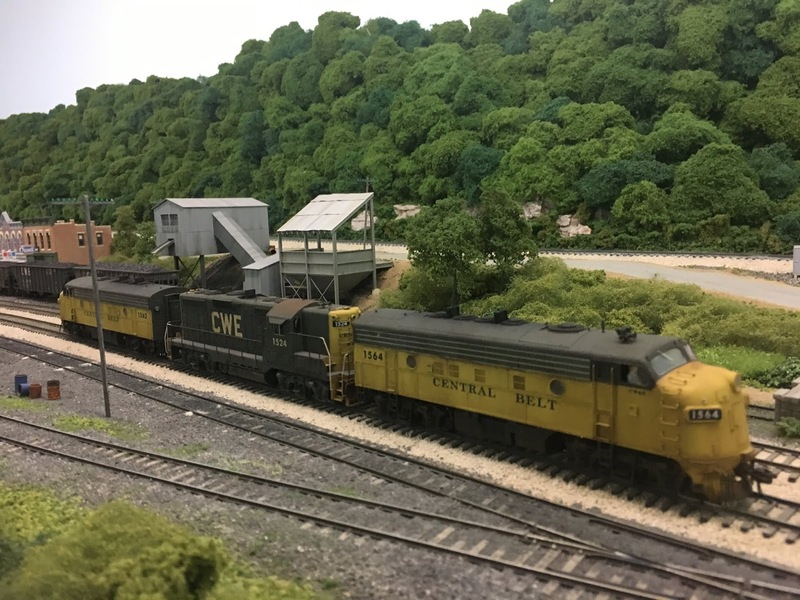 Other changes and upgrades were made over the years.The story of the paint scheme and numbering change appeared in the July 2016 issue of Railroad Model Craftsman. In its place is GP7 1524 which is a Proto 2000 unit. The unit is shown below at Big Chimney. While I had always intended to replace 1542, I never imagined it would soldier on until 2019! Given all the runs its made on the Sand Fork Shifter, the Elwater Branch Roustabout and the Big Chimney Roustabout, it's certainly earned its retirement. Sorry to see her go, but time marches on.